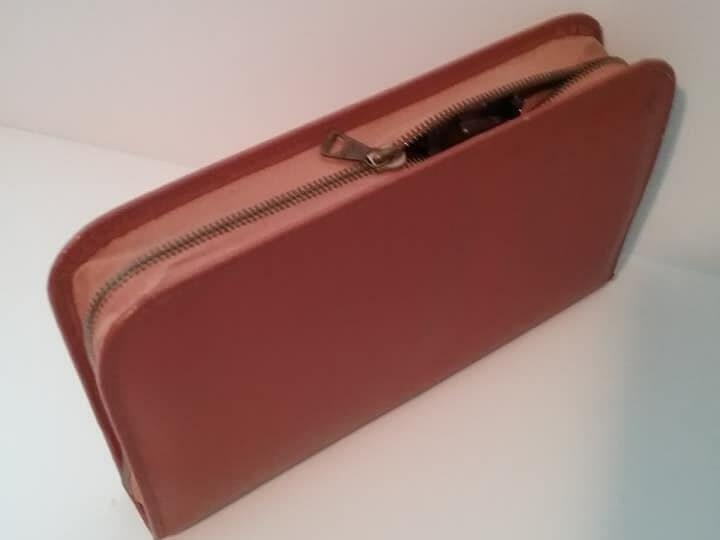 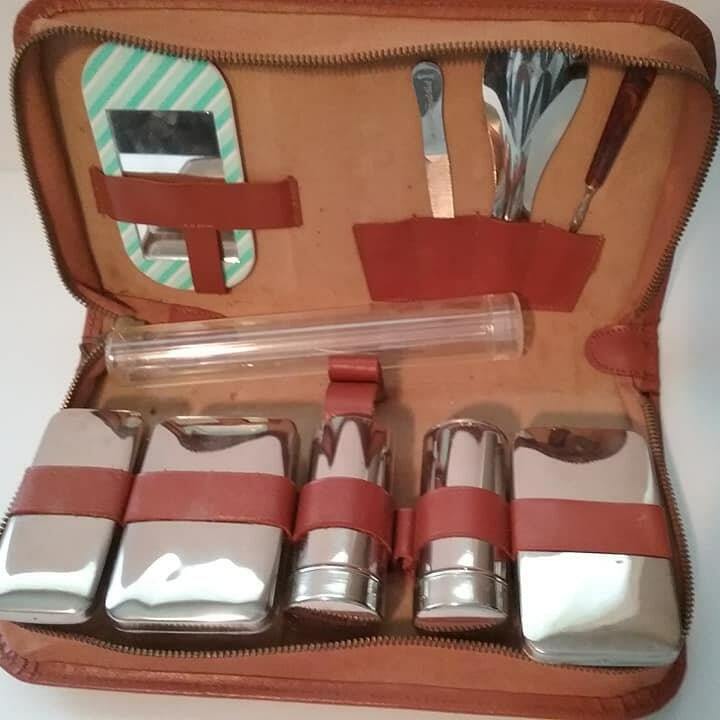 Vintage Men's Grooming Kit, 10 piece in a faux leather case. 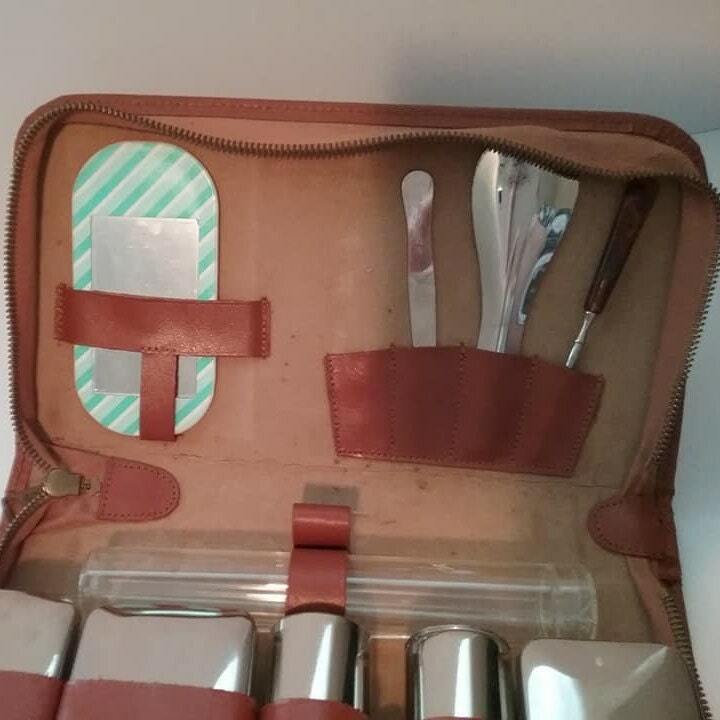 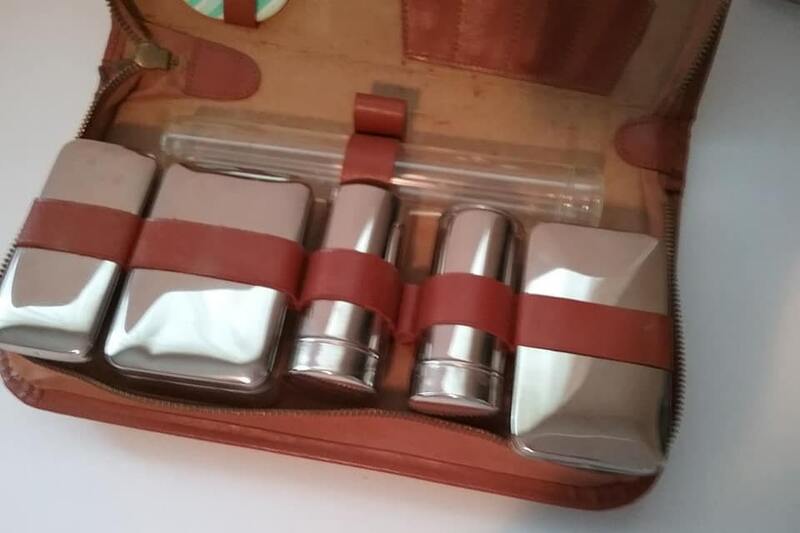 Stamped, Made in Germany, it holds: 2 brushes, shoe horn, nail file, soap case, toothbrush case, hand held mirror, cuticle, 2 round containers for creams etc. 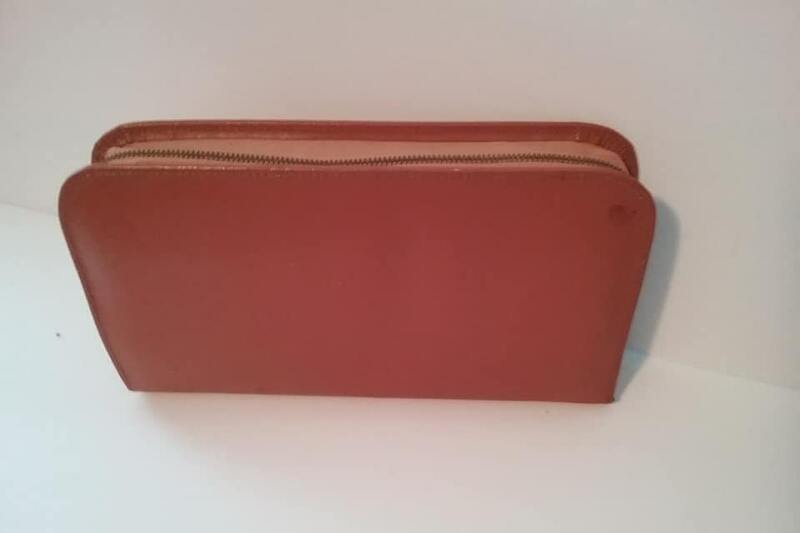 In good vintage condition with natural wear from age and use...see pictures. 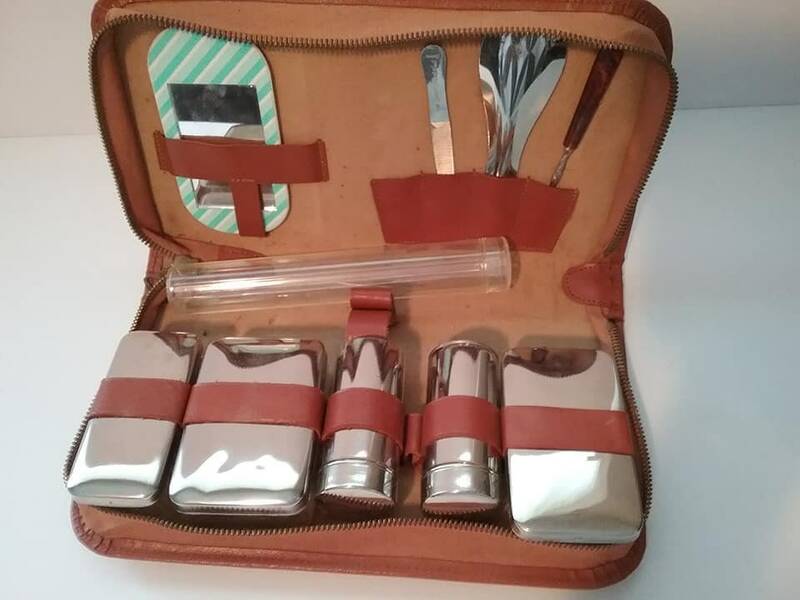 A great retro piece to display or use.